Auto Shop Writer interfaces with two types of parts catalogs and ordering systems. They are easy to use, and comprehensive. MasterLink does not levy a surcharge for these features, nor is their any reoccurring costs associated with their integration into Auto Shop Writer. Some parts suppliers provide files with their complete stock, including pricing and superseding information. Based on the needs of our clients, MasterLink Software can, and has, developed specific utilities to read those files and update the existing inventory files within the shop system. These utilities can add parts to the inventory as stocking or non-stocking items, update pricing, automatically handle superseding numbers, and even provide periodic reports to the vendor on needs and status. These are the most popular interfaces. Most shops have online ordering systems they already access from various suppliers. The interfaces connect ASW to the existing system so you click on a button in the program which calls up your familiar ordering system, then you process the order, and when you are finished, the parts are placed on the workorder. Auto Shop Writer allows you to edit items before they are added to the workorder, so you can change the part number, description, or pricing information. Connections are made to both workorders, and Auto Shop Writer’s powerful purchase order / stock input system. Most of our clients utilize WorldPac, and that interface can save them frequent keyboarding. 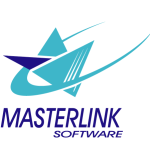 MasterLink Software will be happy to interface with any vendor’s system, but we do so only with their permission.